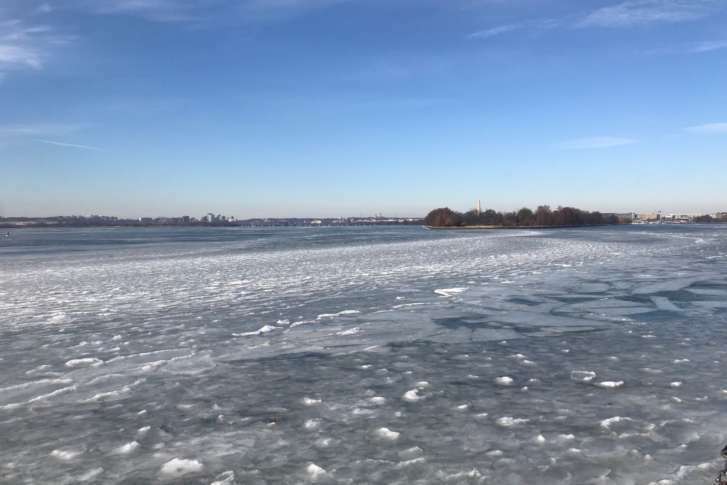 WASHINGTON — Police in the District are investigating a horrific claim from a woman who says she was carjacked and raped at gunpoint before being forced to jump into the Anacostia River in cold, snowy weather. The man took out a gun, got into her car and forced her to drive to a secluded area where he raped her, the report states. That other “location” was Anacostia Park, according to the victim, who claims the suspect forced her to jump into the freezing Anacostia River before he drove off. Investigators say the woman kept her cellphone with her and was able to call 911 for help. When rescue crews arrived, they found her “partially submerged in the Anacostia River, clinging to a concrete ledge at the shoreline,” according to U.S. Park Police Sgt. James Dingeldein. “Park police officers were able to retrieve her from the water, wrap her into a blanket and place her in a waiting D.C. Fire and EMS ambulance,” Dingeldein said. D.C. police are now working to track down the suspect and the victim’s car. The car is described as a black 2016 Toyota Camry with damage on the front right bumper and a D.C. tag of FB0193. Investigators describe the suspect as a black man, approximately 18-25 years in age and 5 feet 3 inches to 5 feet 6 inches tall with a medium complexion. There is a $10,000 reward for information leading to the suspect.